# 404 9262 UNIVERSITY CR Burnaby V5A 0A4 : Simon Fraser Univer. 1 bedroom + den in award winning UniverCity. Immaculate, move-in condition, with views from living room & balcony! 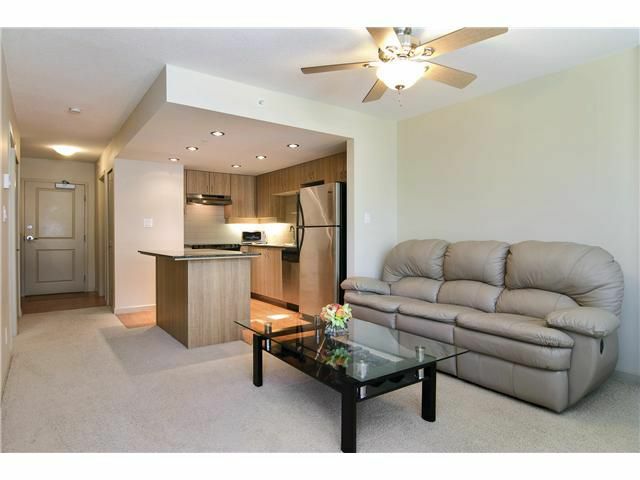 Spacious, bright & quiet InterGulf unit boasts a great layout. Luxurious granite counter tops in bathroom and kitchen. Kitchen has S/S Frigidaire appliances & island which accommodates bar stools. Front load Frigidaire washer/dryer. Balcony is ideal for entertaining, bird watching & enjoying your view of the tranquil forest. 1 secure parking. Pets welcome. Walk to SFU, shops, restaurants, amenities & enjoy walking/biking in the lush forest trails. Buy with confidence: balance of 10 year warranty. Perfect for yourself or an investment. Amenities include gym, bike room, club house. Opens Jun 11 1-3, Jun 12 12-1:30.